"You have The Power of One to start a fire. 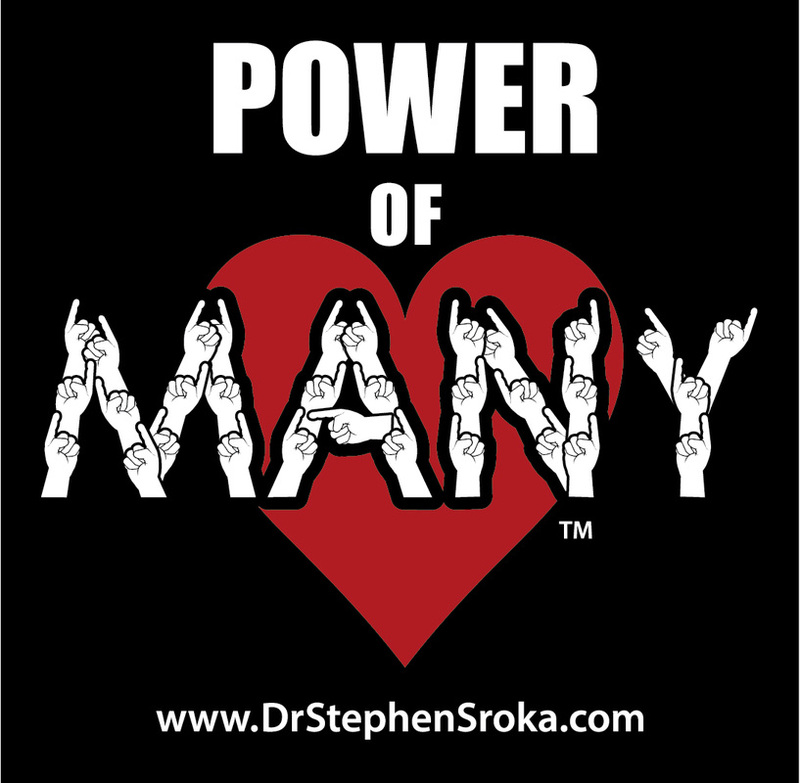 But you need The Power of Many to keep the fire burning"
Dr. Stephen Sroka is well known as The Power of One motivational speaker who integrates cutting edge research with reality based strategies about education, life skills and kindness to help you Make a Difference in schools, communities and lives. Recently, he suffered a cardiac arrest presenting in front of 800 people at a school system in-service. 90% of persons who have a cardiac arrest die. Because of the fast action of two school resource officers with CPR training, a principal with an AED, two school psychologists communicating life saving information, EMS, the life-flight support team and an army of medical professionals at the Cleveland Clinic Cardiac Unit, and many more, Dr. Sroka is alive and well. As he was being life-flighted, he experienced first hand (no pun intended for CPR) that sometimes the Power of One is not enough. You need the Power of Many. This is true in hospitals, schools, organizations, communities and life in general. Dr. Steve’s new message is You have the Power of One to start a fire, but you need the Power of Many to keep the fire burning. This is a program that will warm your heart delivered with professional insights that will ignite your head. A powerful message for students, parents, schools, organizations and communities. TV NBC has reported on the Dr. Sroka’s cardiac arrest experience and The Power of Many. See video. Three guys who saved Dr. Steve's life - Andy, Al, and Mike. 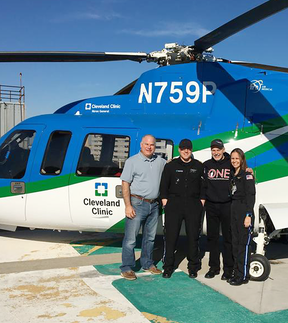 Cleveland Clinic Critical Care Transport Team that life-flighted Dr, Steve. TV news reported on The Power of One to The Power of Many.